RCSC aims for R&D of technologies necessary for long term stay of human in an extreme closed environment, which is indispensable for frontier expansion of mankind. And to realize that, we (RCSC) gather technologies related to space. TUS is private university of science and engineering in Japan and has cultivated know-how of heterogeneity comprehensive researches. RCSC gathers TUS’s technologies such as component development, functional materials, energy creation, construction, IoT, sensor etc. All of these fields are related to satellite science for spaces exploration. These technologies are extremely important for understanding and development of the universe, which is the frontiers of mankind. RCSC was established for the development of technologies that are necessary for human to stay in a closed environment for a long term in space. RCSC was established with the aim to develop technologies through industry-academia-government collaboration. Our goal is to contribute human society through innovative R&D, promote social implementation of the technologies, and human resource development. RCSC was adopted as a branding project by the Ministry of Education, Culture, Sports, Science and Technology (MEXT) Japan. The former division (the space research conference) was dissolved in favor of RCSC in November 2017. There are several problems while staying in the closed environment in space. Space colony is indispensable for frontier expansion of human. There are many issues to be solved, such as supplying necessary energy for living, recycling water / air, and producing foods necessary for self-sufficient. In order to deal with these problems, we need to gather the TUS’s knowledge, respond with integration powers, and promote cooperation with private companies. RCSC aims to realize the use of sophisticated space-stay technologies on earth and contributes to the social implementation of these technologies by promptly transferring to private companies through collaboration. In addition, RCSC aims to contribute to national resilience by building disaster-resistant houses, solving food crisis, and revitalizing the very small space industry. 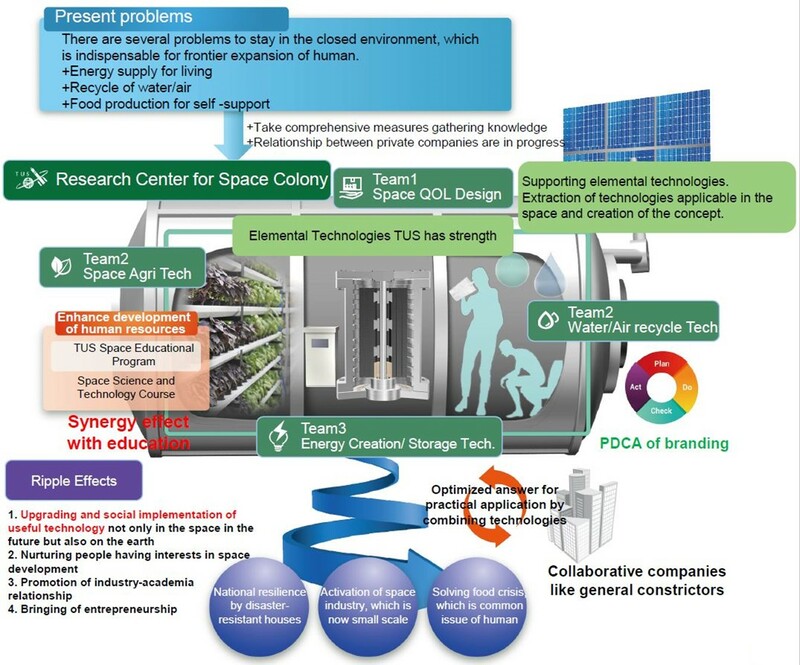 We also focus to develop systems that deal with QOL, agriculture, energy and recycles of waste products in space through industry-academia collaboration. RCSC is composed of four teams. R&D of these four teams work together in cooperation and transfer the technologies created by R&D processes promptly to private companies with an aim to use them for space exploration as well as upgrading lifestyle of human being on the earth. Team-1 supervise the overall project. It designs system necessary to improve the QOL (Quality of Life). It extracts the necessary technologies, assuming that human being stay for a long period of time on the moon, exposed to special environmental conditions such as microgravity and low pressure. 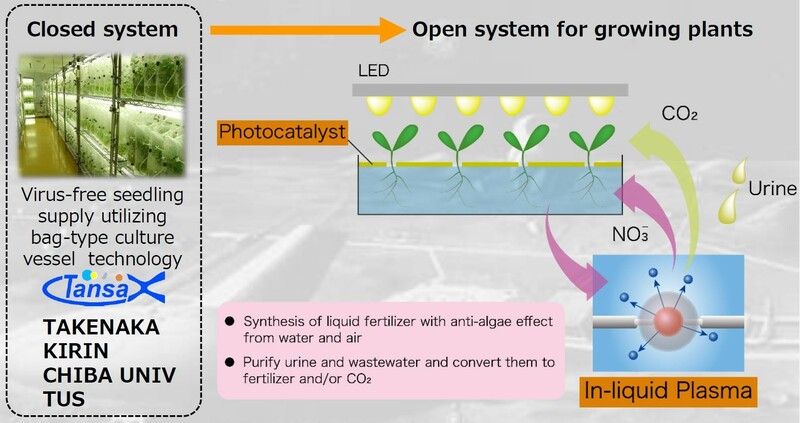 Team-2 will develop element technologies of space agriculture by using the in-liquid plasma technology and the photocatalysis technology in combination. It investigates the development of self-sufficient agricultural products using limited resources in a closed space condition considering sanitation. 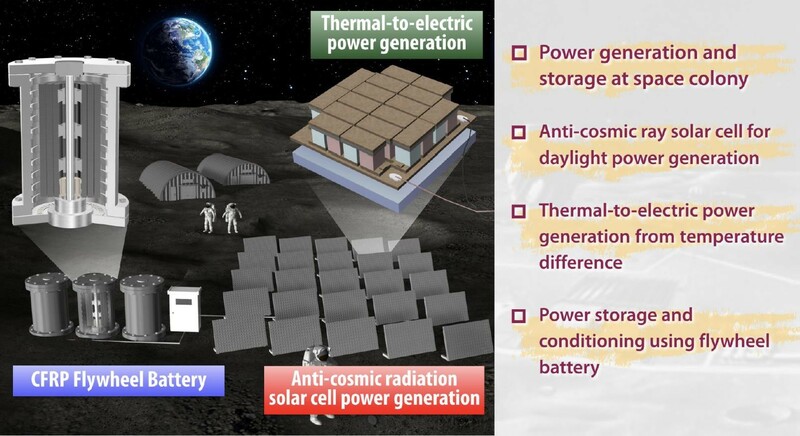 Team-3 will develop high efficiency and high power solar cells made of materials with excellent cosmic radiation durability, thermal-to-electric power generation system with indoor and outdoor temperature difference that can generate electricity even at night, and flywheel type high energy density power storage system cooperating with solar cell / thermal battery. 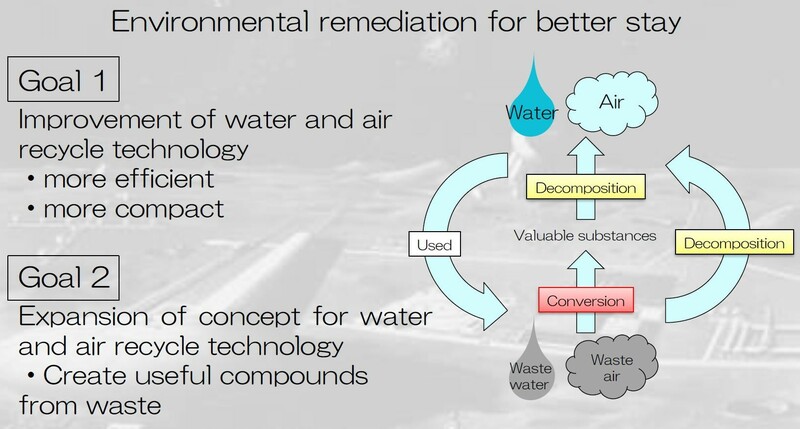 Team-4 will develop a system that fully recycles various kinds of water and gases discharged from the human body and equipment using functional materials such as highly active photocatalyst. RCSC transfers technologies created in the process of R&D to private companies. We collaborate not only for the space exploration but also for upgrading lifestyle of human being on the earth. RCSC possesses technologies such as component development of the satellite, functional materials, energy creation, construction, IoT, sensor etc. TUS has strength to develop technologies through R&D processes for long term stay of human in an extreme environment. 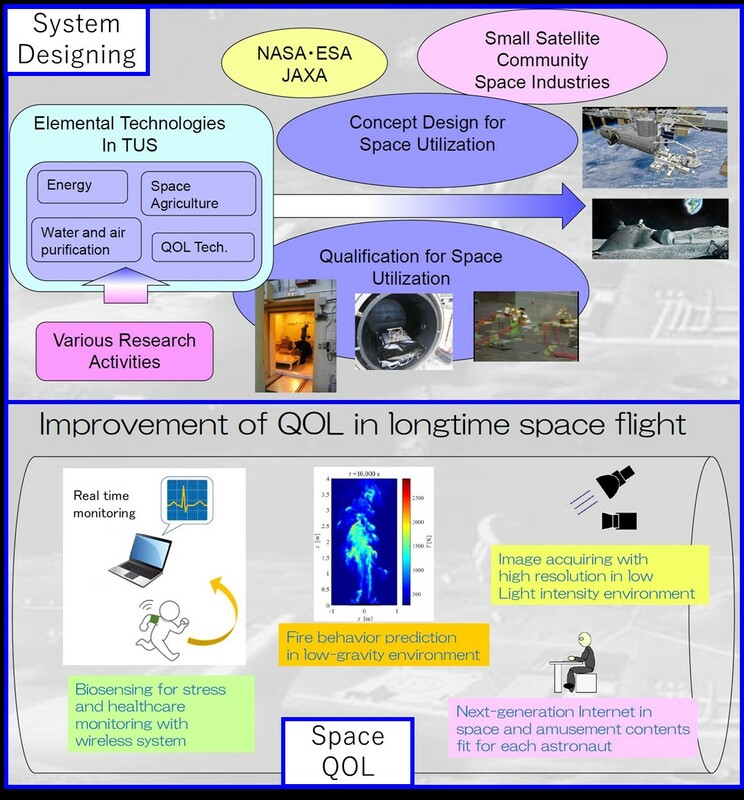 The university that does not have the Department of Aeronautics and Aerospace Engineering aiming to revitalize Japan’s space industry through industry-academia collaboration by the idea not caught by the stereotype of conventional space development.